BAKTI DISEMAI DAN JANJI DITUNAI: MAHAL EMAS ATAU TUMBUHAN? Saffron, a spice grown worldwide, is derived from the saffron crocus flower. 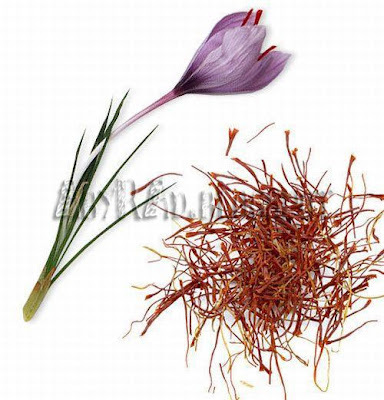 A pound of dry saffron (0.45 kg) requires 50,000–75,000 flowers to make, meaning an entire football field of these flowers. Requiring so much resources and labor, prices for the spice go around US$500/pound to US$5,000/pound (US$1100–US$11,000 per kilogram). Kpd tukang masak yg handal handal tu try bubuh za'faran ni dalam ramuan nasi briyani anda. Lihat perbezaan kelazatannya. Di T Intan kalau nak stok try hubungi Ust Wan Azli PUNSU di masjid daerah atau Barada.